We’ve all dreamed of buying a “small island” on which to live out our days in beachfront prosperity. Unfortunately, only 1% of us have Richard Branson level-wealth. So we may set our sights a little lower, but we don’t have to compromise any grand ambitions. 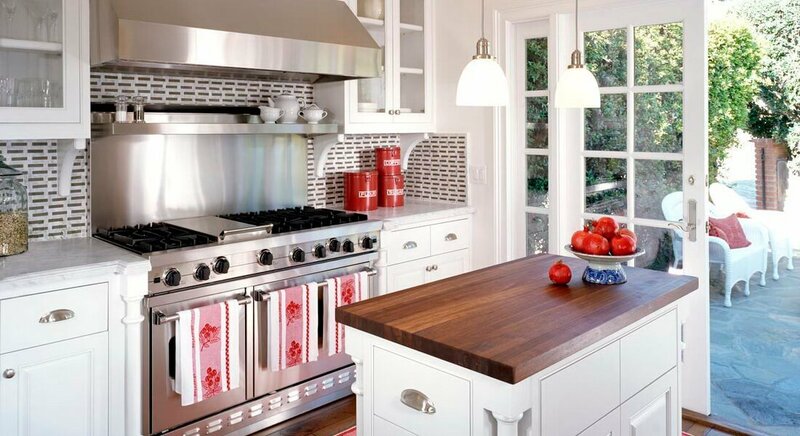 We can turn our sights to our kitchen, and turn it into an ideal getaway. 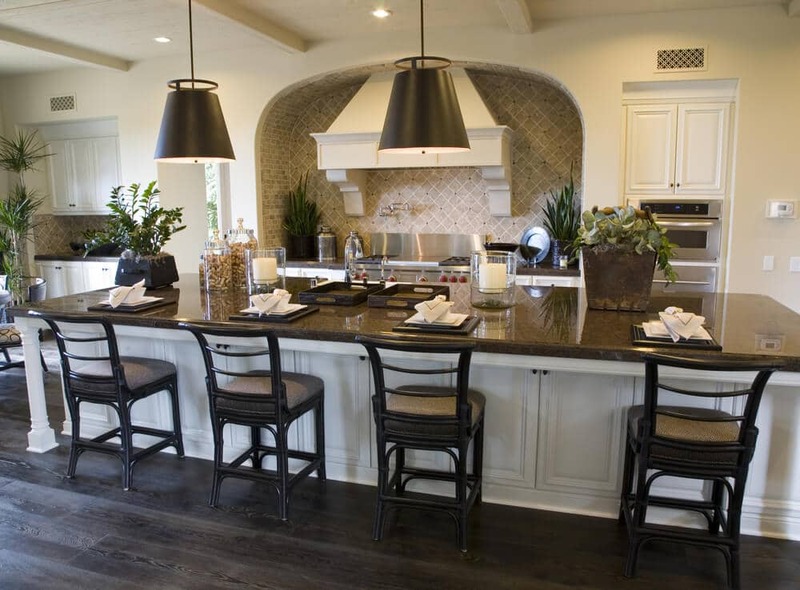 In fact, kitchen islands have become in-demand over the last few years. They’re not so common that everyone has them, and they are unique enough to be a special addition to your home. When planned properly, a kitchen island can accommodate a wealth of features: it can provide space for dining, working and storage as well as facilitating easy workflow while providing ample room for the preparation and cooking of food. But if an island addition hasn’t been suitably outlined, it may only serve headaches. This is why it is important to first confirm that there is enough space to accommodate one. Following is a run-down of what you need to know and have in order to best host an island. Despite size being such a determining factor, a relatively small kitchen doesn’t rule out the possibility of an island entirely. There are ways to work with minimal space and to maximize its potential. Plus there are alternatives, in the form of a remodel you may acquire customized dimensions designed exclusively for personal purpose. Since an island is essentially an indulgence, why not have it custom tailored to your needs? You may have it built to host seating. If you use a designer they can adjust the depth and height to allow a number of storage and seating options. You’ll want to know your clearance zone and determine the size of the room. Factors such as the number of residents in the home and their typical use of the space must be considered, too. This will also enable an understanding of the optimal implementation of safety measures. Obviously, a certain amount of clearance is needed to accommodate the island. Opposing cabinets or drawers need to open and close freely as does the dishwasher. The more open space available, the safer it will be. Between two fully extended drawers from opposing runs should be a minimum space of three feet. The minimum recommended size for a stationary kitchen island is perfectly square at 40” x 40”. Relatively modest, the design still allows for practicality. It functions without issue and may even integrate appliance use. The 40”x40” would need a minimum clearance area of 31 ½”, providing the leanest possible space for safe and unobstructed mobility. 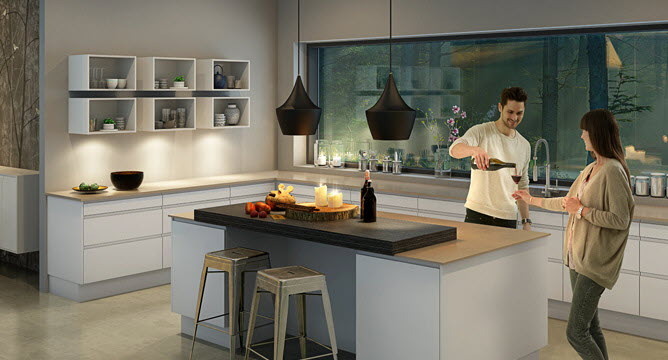 In this scenario the dimensions comfortably apply to a single person in the kitchen. But not necessarily two people as it would likely create a sense of claustrophobia and potentially be hazardous. 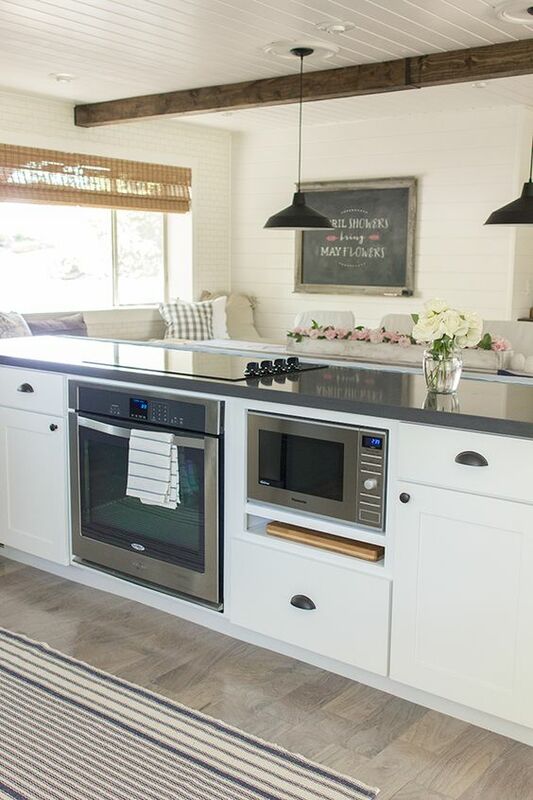 You may get the most out of an island by making it multifunctional. From your initial concept, have it designed to serve a variety of purposes. It could feature seating, maybe a wine cooler, a cooktop and even storage for pans. Choose your options carefully for maximum use of space. 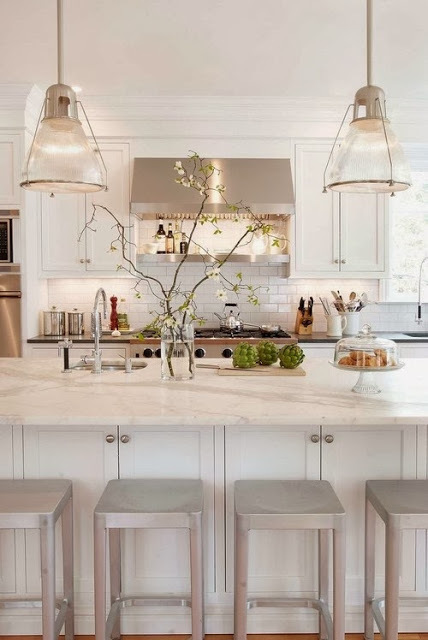 You would need a surrounding safety area of about 40” for an average size kitchen island (typically three by six and a half feet). The size of an island should typically be set by the distances around it. Naturally, the larger the kitchen is, the larger the island you’ll be able to fit within. However, just because you have plenty of space to work with doesn’t mean you’ll want to implement the biggest island possible. Be tasteful. An overly-indulgent one may appear gaudy and unpleasing to the eye. It’s important to work with a professional if at all possible. By neglecting to keep dimensions proportional you may defeat the purpose of an island somewhat. You could become responsible for a cramped area that simply is not practical and does not promote smooth flow of work. If you choose an island too big, it may be too cumbersome to get around with ease. On the other hand, you don’t want too much space around the island either. There is a method to installation and that is to create the most user-friendly distance between the counter and island – efficiency is the key here, really. Ask your salesman or designer about all of the options available for your kitchen size. They’ll ensure that the right countertop fits to specs and may even suggest different layouts such as a galley or peninsula. They may even determine that your kitchen isn’t right for installation and offer alternatives (such as a smaller moving island or trolley). As long as you take the care to do it right, you will enjoy the pride and value that is inherent to a properly designed kitchen island!